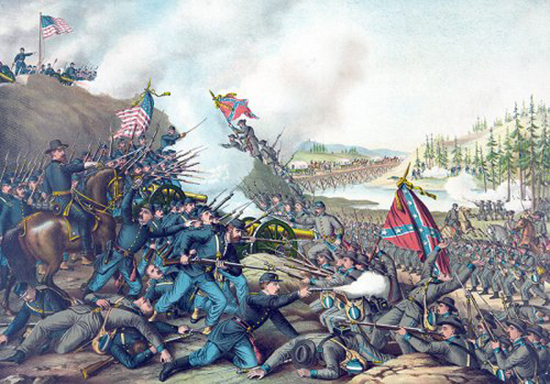 I soon will be opening a secondary section about the U.S. Civil War and the Michigan "Fighting Fifth Infantry" on my main blog of Storytelling + Research = LoiS. Because I frequently portray a local woman, Liberetta Lerich Green, talking about abolition and her family 100 years ago, during the years of the Civil War sesquicentennial I posted Detroit area newspaper articles about the "Fighting Fifth" which her brothers joined. I created a separate blog posting at the pace those articles originally appeared. My intent was to give a sense of how family and friends had to experience news about them. I've maintained that blog separately, but think it is now time to stop paying to have it continue. Still I do want people to continue to be able to access those articles which would normally require going to a research library and prowling the microfilmed newspapers. I did that for four years, saving what I saw to a flash drive, then reproducing it as best I could. I'm painfully aware of the shortcomings in the original microfilm and in my own limited ability to reproduce it. At the same time I believe internet access to the material is better than telling everyone to go a library with the microfilm. The Library of Michigan was further away from me than Detroit Public Library's Burton Historical Library, but it offered an interface permitting that flash drive reproduction, so that was my source. I hope my results continue to have an audience. Incorporating it here is a way it can stay available as long as this blog remains online.